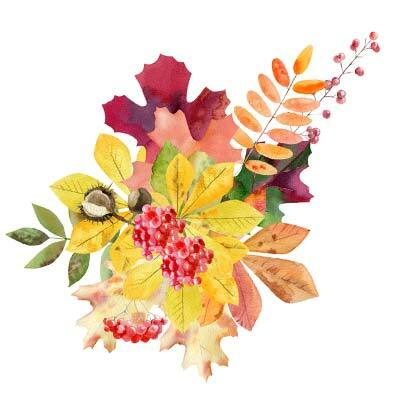 The theme of this week is autumn. 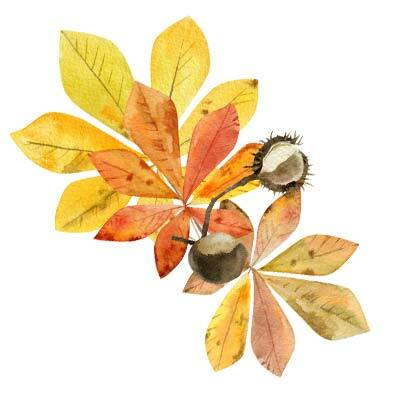 So today we begin with using autumn colours for a few leaves and fruit of a chestnut tree. 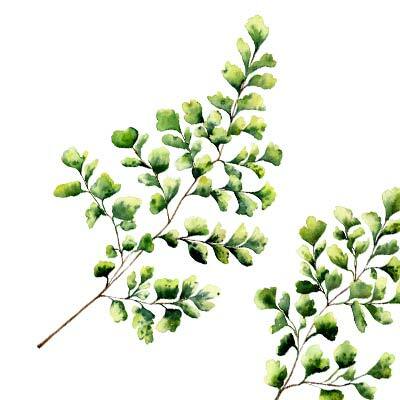 Be careful not to paint veins of leaves too strong, which is a very common mistake beginners make. You get brown tones by using all three primary colours with an emphasis on red and yellow rather than blue. 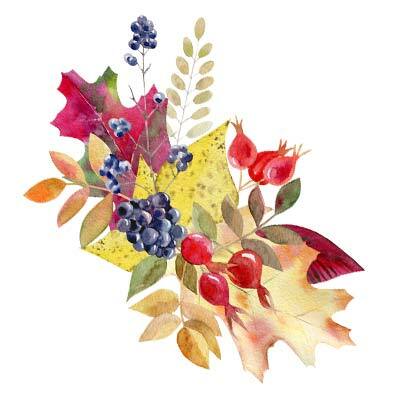 Today we are using the same probs as yesterday, only added a wooden pot and other leaves and berries for more interest. Using similar items as the previous days create another still life. This time add a little more red and a bit of green for appeal. 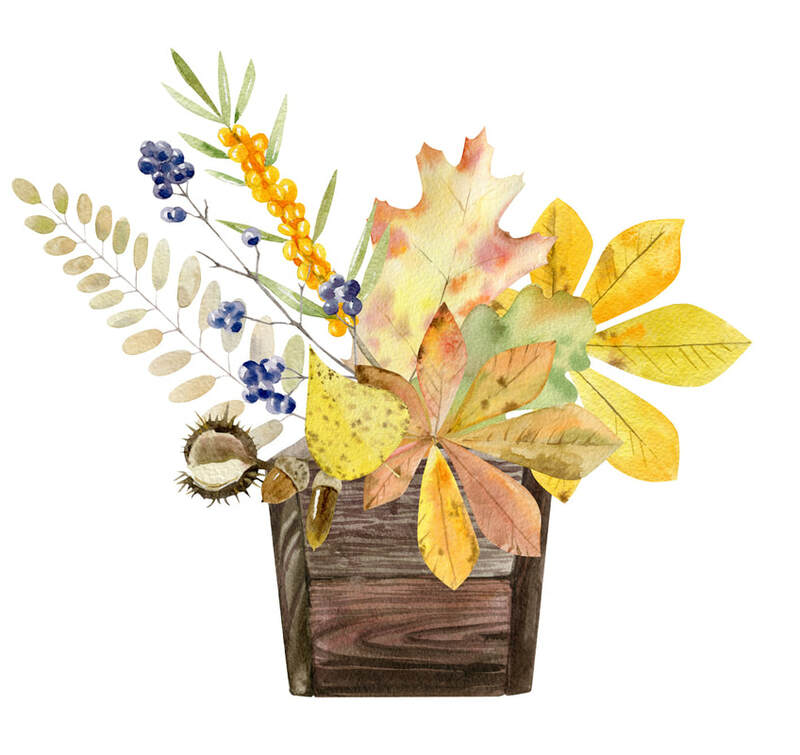 One last time our autumn theme. You can add today some grapes or hibiscus fruit. 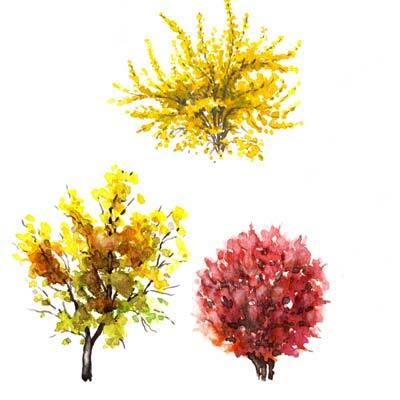 Get a little branch of a tree to paint today. Keep it simple. Today we paint a pumpkin or two. If you want to add some leaves or nuts don't hold yourself back. 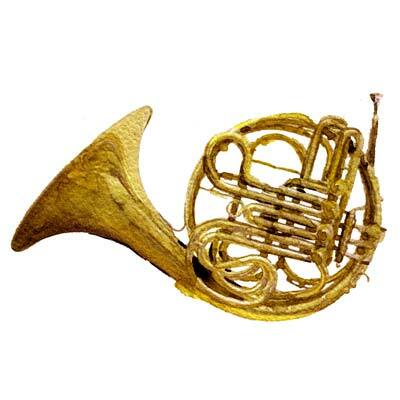 Draw a musical instrument, a horn. Make sure that the light comes from one direction. For the golden colour you need to mix yellows and browns. Yellow is best darkened with a reddish violet. 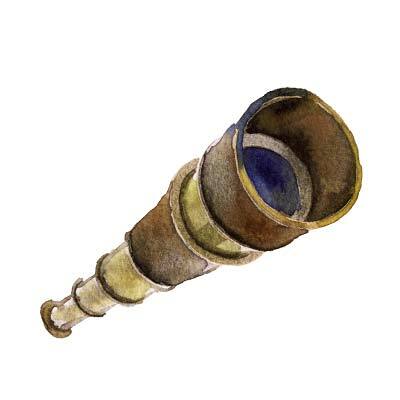 Paint a simple antique spy glass or telescope. Use almost flat washes for today's paper windmills. 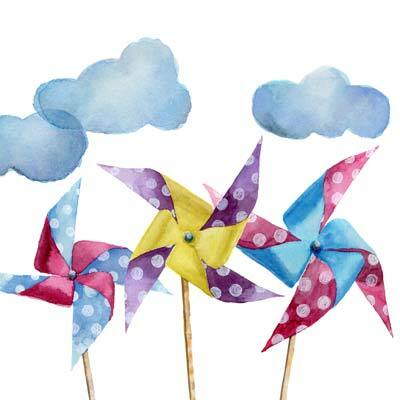 Where the paper windmill is bending, use a little bit of the complementary colour to darken instead of just black. For the yellow wheel use a bit of violet, for the blue a bit of orange and the pink a bit of green, to darker the areas. A colour when it gets darker must change the colour in itself and cannot stay the same by just making it darker. It looks unnatural and dead rather than lively. 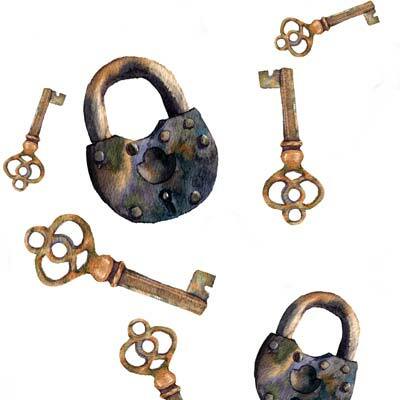 Paint a rather old looking lock with an interesting key. 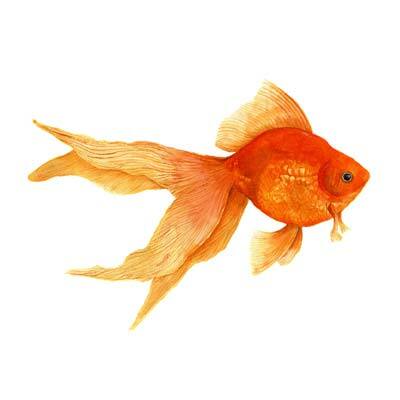 Pencil the outlines of a goldfish and paint with watercolour. 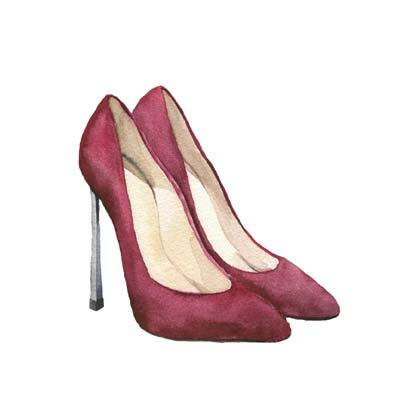 Paint a pair of shoes of any type. 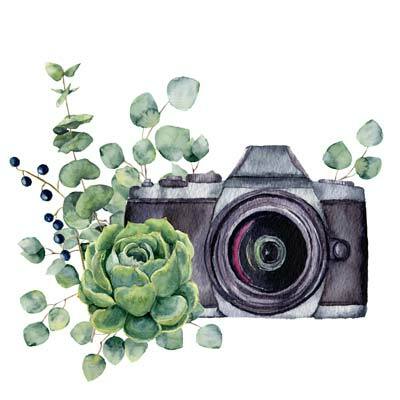 Paint a camera with a bit of green to create a pleasing illustration. Think of the composition to make it interesting. Adding some organic material when depicting a mechanical or static item brings life to a drawing or painting. To paint bushes and trees we have to find simplify forms before adding finer details. 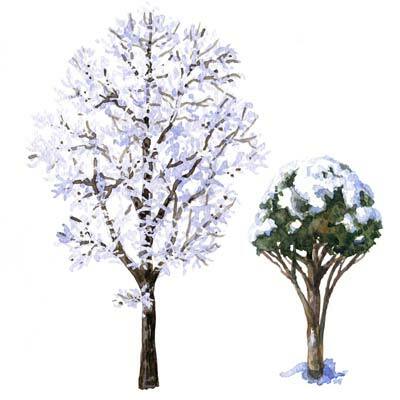 Today we are doing some trees with snow on them. 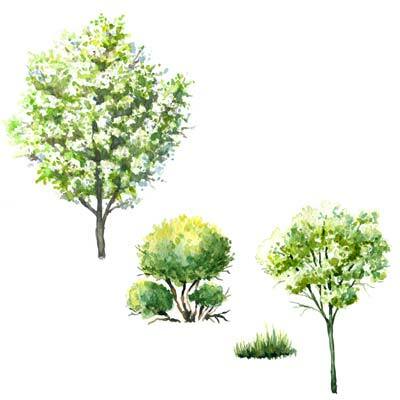 We continue in the same manner as the last two days with some more trees and bushes. 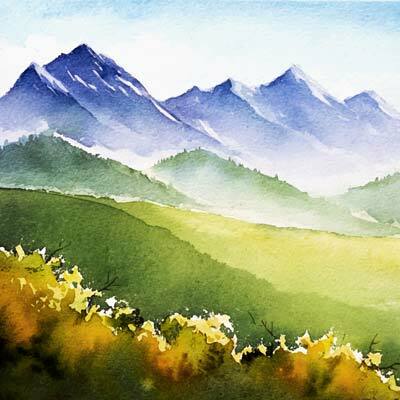 Today we do a simple landscape. Note that although the mid range mountains would have more detail in nature, looks also pleasing much more simplified. The most common mistake I see made in landscape is that details are placed all over the painting making it often far too busy. The little bit of more detail in the foreground is enough. 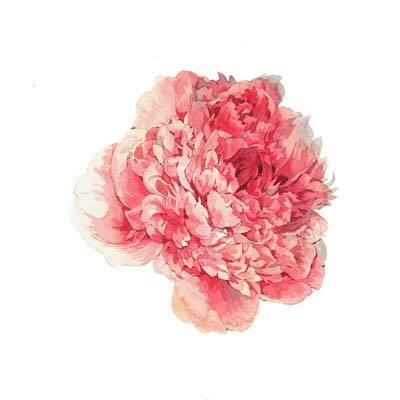 There are numerous variations of carnations, both in form and colour. As they are filled with detail, we are using only one single flower. 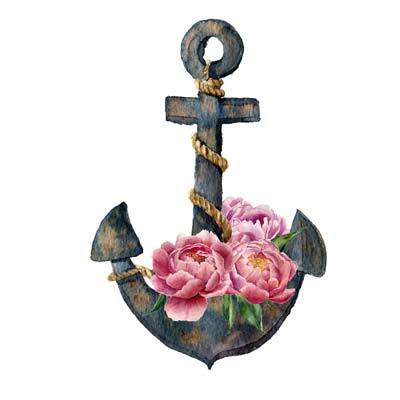 I love taking an item such as an anchor and add something organic just for fun. You can almost use anything you want and by giving it a bit of a unique angle it becomes suddenly pleasing to the eye. 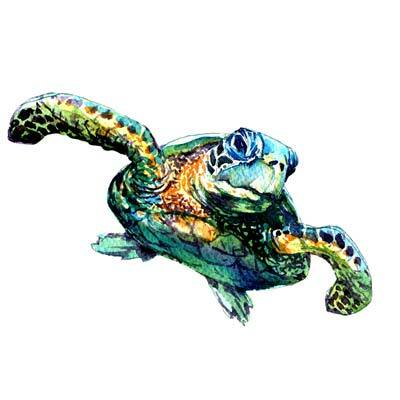 This sea turtle gets its effect due to its contrast and the mixture of its complementary colours. 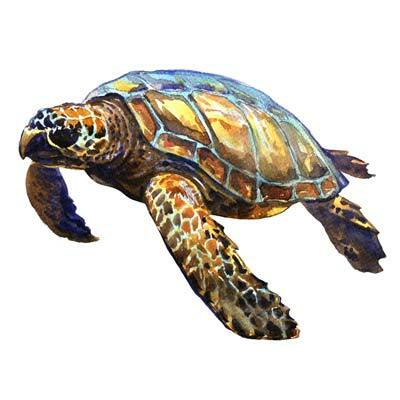 Today we are painting a green sea turtle from the front. 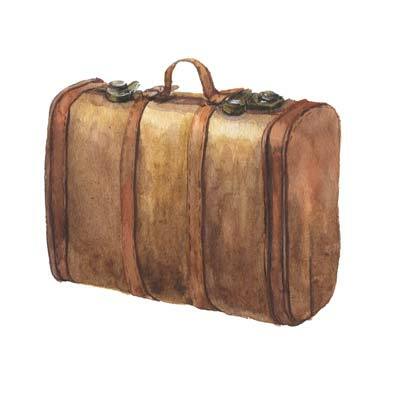 Old things are always interesting, so an old suitcase makes a good subject to paint. Browns are mixed by using all three primary colours with an emphasis on yellow and red. On the leather band that runs around the suitcase, you can clearly see how a little more red has been use, whereas on the suitcase itself it is a little more yellow. 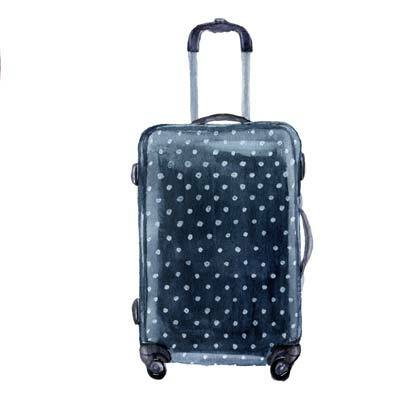 As contrast to yesterday, we painting a modern suitcase today made of plastic. 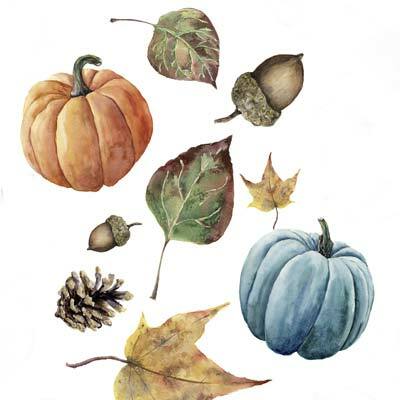 You can use masking fluid to create the little mini circles or dots. 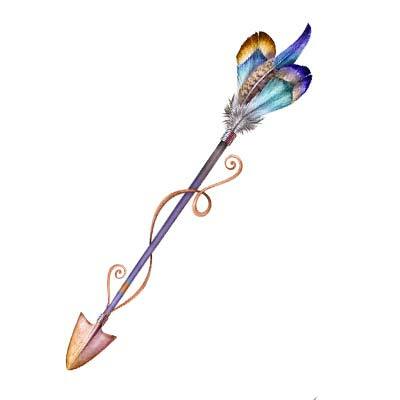 Just a little fun illustration today by painting a spear with feathers. 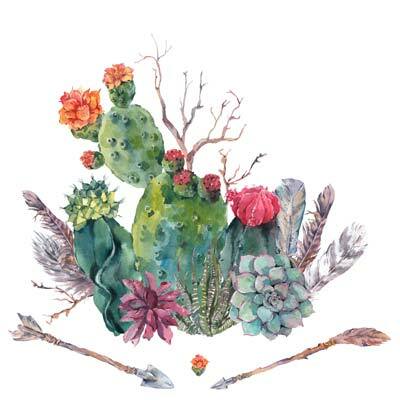 For the rest of this week we will tackle a few different cactus and succulents. 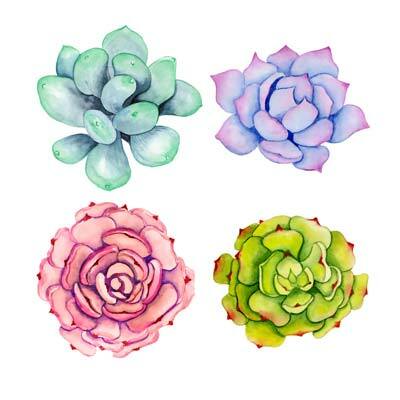 Here is a small variety of different succulents to choose from. 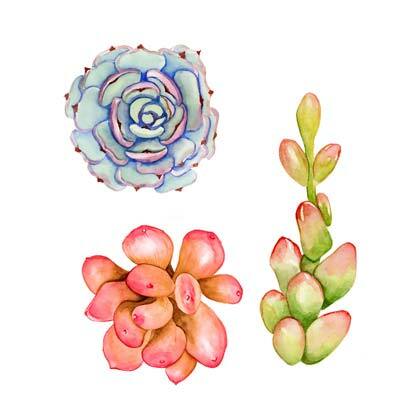 And another day of succulents. I love when you can see that the leaves are really thick and full of moisture.